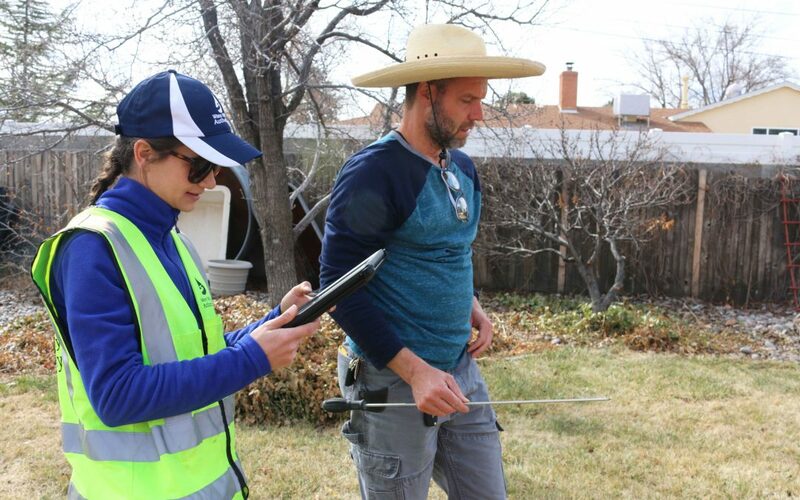 As irrigation season ramps up, we sat down with the Water Authority’s irrigation specialist to ask a few questions about the utility’s new FREE Efficient Irrigation Consultations. Why is the Water Authority offering this service? In ABQ, 40% of our drinking water is used on landscapes. Improperly maintained irrigation systems often apply twice the water the plants need in order to compensate for system inefficiencies. Often, relatively simple maintenance or scheduling changes have a big impact on how much water our irrigation systems use to water plants. It’s often difficult for someone not trained in this field to detect irrigation problems, since the systems usually run at night and most components are hidden. Empowering you to better understand your landscape and irrigation systems will help all of us steward our valuable water resources. How does a typical consultation go? Arrive at your home at the scheduled time to review your landscape goals and plant material. Check your irrigation system’s performance and controller settings. Create customized recommendations for irrigation settings to help you save money and water. Review rebates that are available through the Water Authority that could benefit you and your landscape. Why should I sign up for a FREE Efficient Irrigation Consultation? You’ll be supporting water efficiency goals in Albuquerque. Be a steward of water conservation. Learn something about your landscape and your watering systems. Visit our Irrigation Efficiency Rebate page to see all our rebates.